The global search for unique candy in interesting places. Thanks for coming back for my final report on Israel! In this post I'll cover Jerusalem but if you want to catch up on Tel Aviv (and why wouldn't you?) you can read all about it here. So, Jerusalem. Obviously you are there to see the Old City and all of it's religious history. Within the walls of the Old City there are four quarters (Jewish, Christian, Muslim, Armenian) with a maze of vendors selling various items in and around them. The shops in the Muslim quarter reminded me of the souks in the Medina in Marrakech. These little shops and stands are inside of the old city walls, tourists walk up and down the alleyways browsing the various items while shop owners try to talk them into their stores to haggle and purchase. It's crowded, fragrant, busy and mesmerizing. It was also the last place I expected to find candy. After walking around two quarters trying to remember my Bible stories, I started to feel tired, hungry and like everything looked the same very interested in religious history. 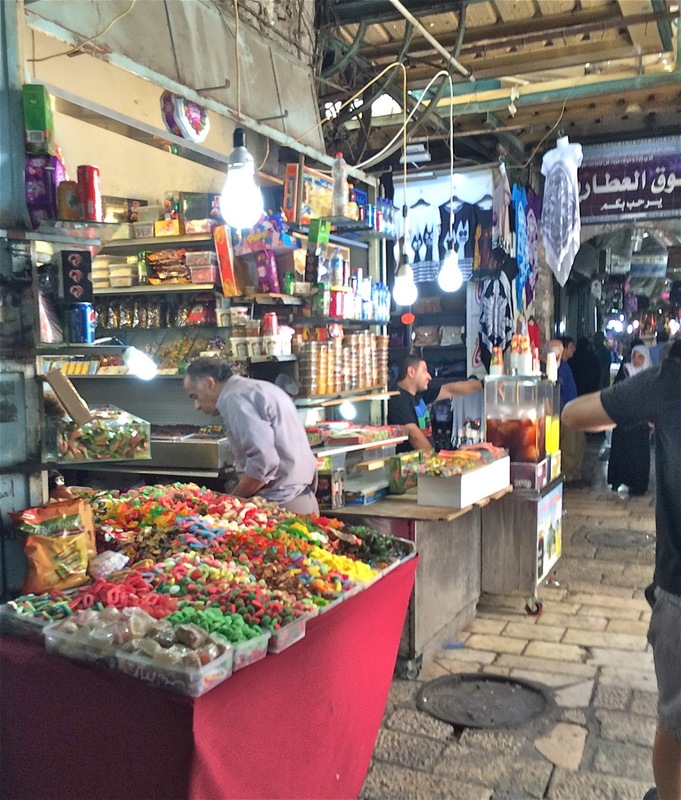 I also started to wonder if there was some kind of "hummus of the Old City" tour I could join next. Then, out of nowhere, I spotted a candy vendor...then another, and another, and another. Look at all of that colorful candy right out in full view! This was a welcome sight, appearing at just the right time. The only problem with this little oasis was that I'm a germophobe. I try to act cool and pretend that I'm not, but I totally am. 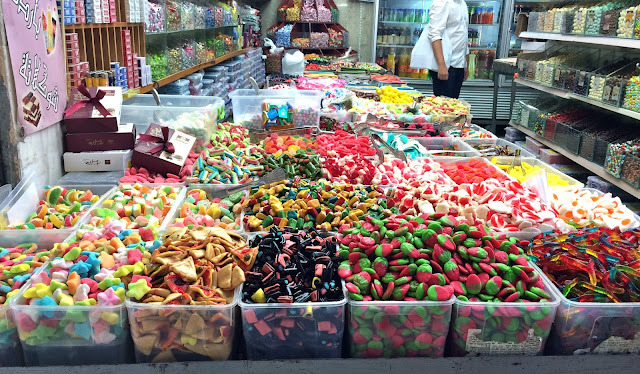 And I just couldn't get over the open air, dust-friendly set up of these candy shops. Can I get a sneeze guard? So no lids. That's how we're doing this? The dried pears were gross, way too sweet and the pear tasted fake. 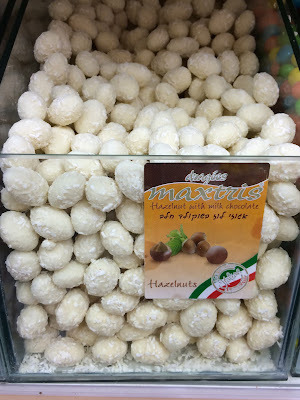 The hazelnuts with coconut flakes were delicious, nice and crunchy with a sweet little coating of white chocolate and a hint of coconut. 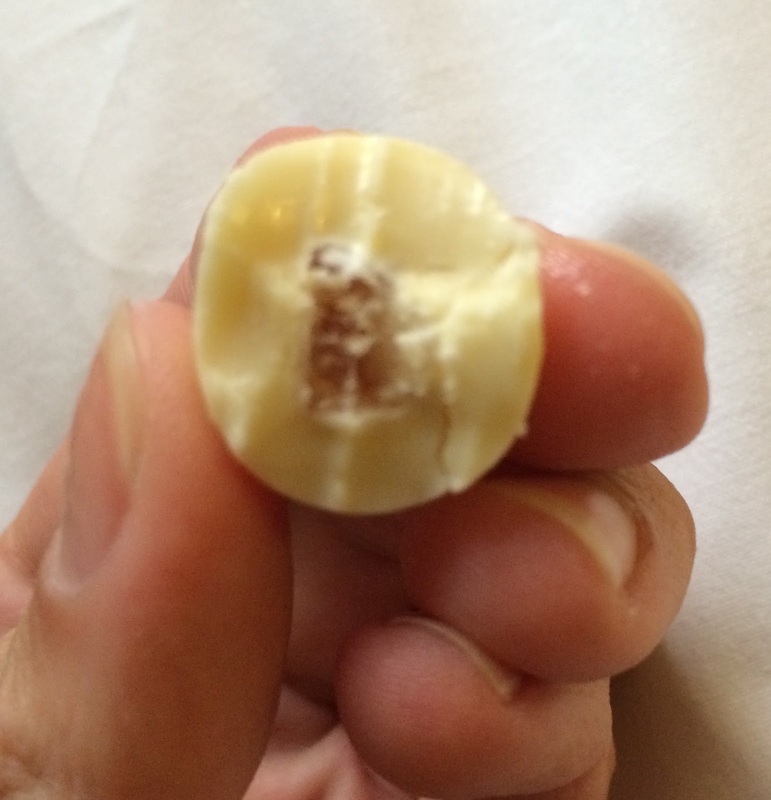 The surprising favorite though, were the white chocolate covered lemon pieces. These were tiny bits of dried lemon covered in white chocolate which made for a nice balance of tart and sweet (and chocolate). 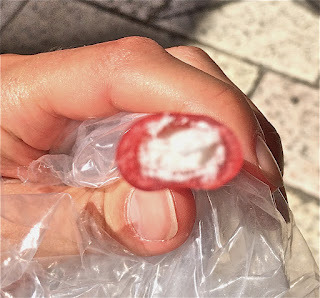 I also caved and dug deeeep into the bottom of the bin for one of my favorite gummy candies: strawberry and cream licorice. I cannot resist these (cylinders? ropes? straws? sticks?) whatever they're called, in any form. See my post here about finding a smaller, sour version of these in Italy. 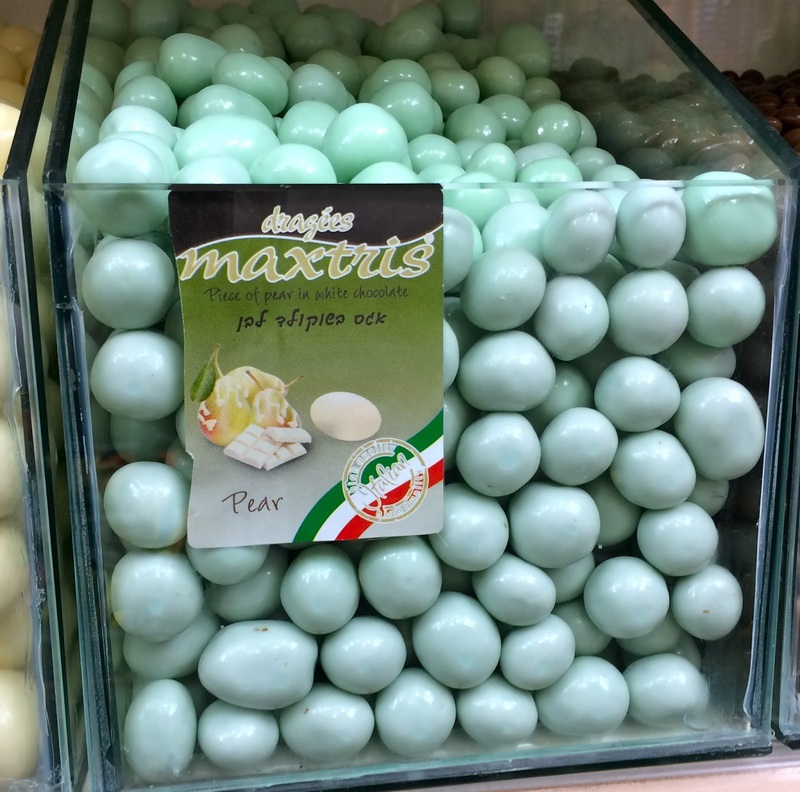 (I'm planning a future post about my favorite iteration on them that I found in Spain...but that's for later.) In Jerusalem, I only saw this thicker "rope" version which I had to try. Sadly, they proved too sweet for me. I think it had something to do with the heat because the ropes were kind of sweating which made the outer strawberry casing sticky and hard/stale. There was also so much cream in the center that it made each bite too sweet. It was worth the taste but I had to throw the stick away after a few bites. Spain's version still wins. Yahtzeeeeee! This store had everything: bulk candy, gummies, bulk chocolates, wrapped candies, chocolate bars, packaged hard candies-you name it. It was a veritable candy-smorgasbord. A lot of these candies I had seen or tasted before so there wasn't an immediate need to buy anything. And again, with the open air style here I just couldn't bring myself to scoop up candy that had been sitting out in the open...in low bins. They did have wrapped chocolate bars from around the world though. 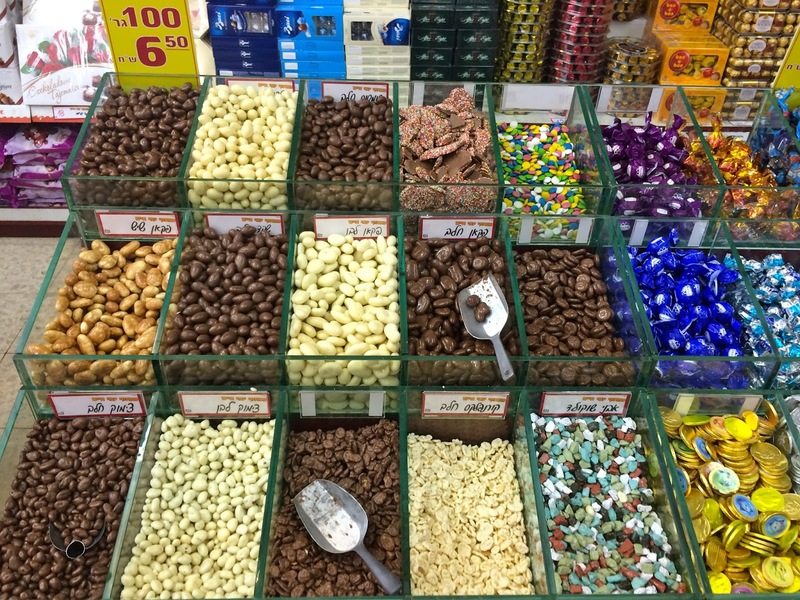 Some familiar like Toffifay, Baci, Cadbury, Milka, and Lindt and some not like the Israeli chocolate bars I wrote about in my Tel Aviv post. 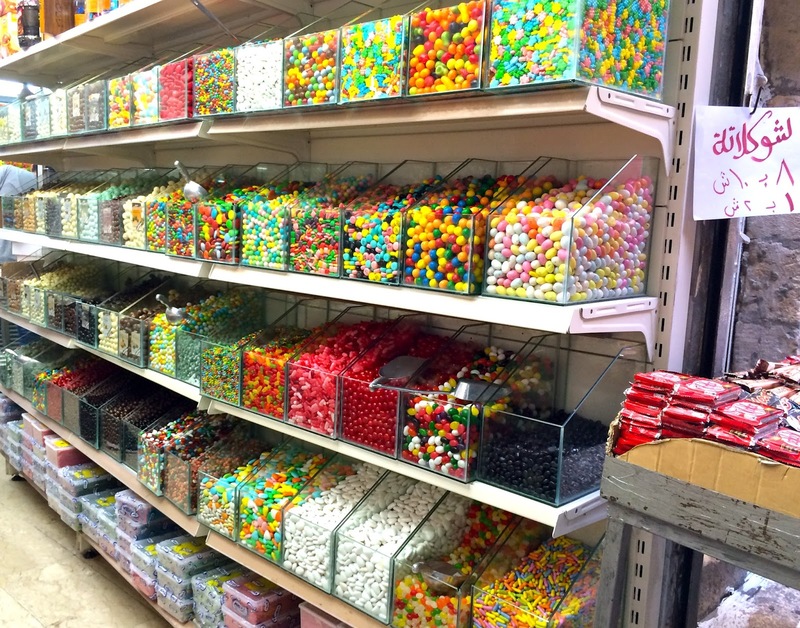 So where do you find this glorious Wonka-store in Jerusalem? The store is called Ami Haim Candies and the address is Agripas 46. You're welcome. 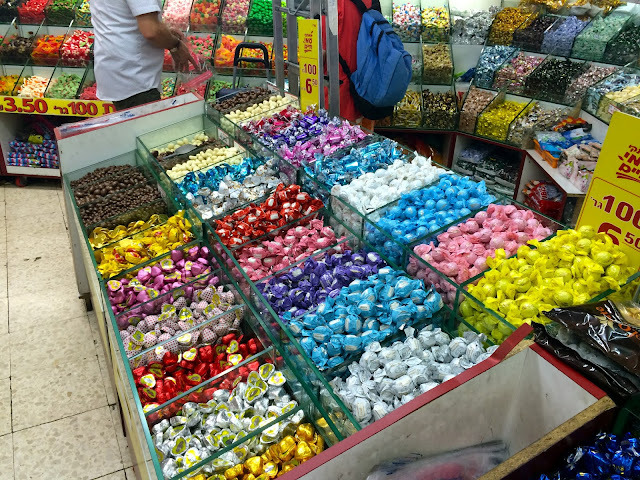 In sum, if you are heading to Jerusalem for a religious pilgrimage, don't fear, they also have candy. 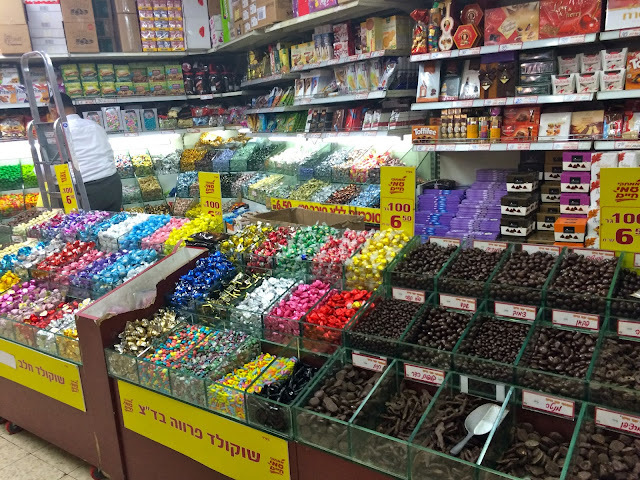 Keep this in mind as you wander around the Old City taking in the sights but don't be tempted into buying candy in the Old City, try to hold out for Ami Haim and you'll be glad you did. Hi, welcome to my blog! My name is Keenan and I am a candy enthusiast. 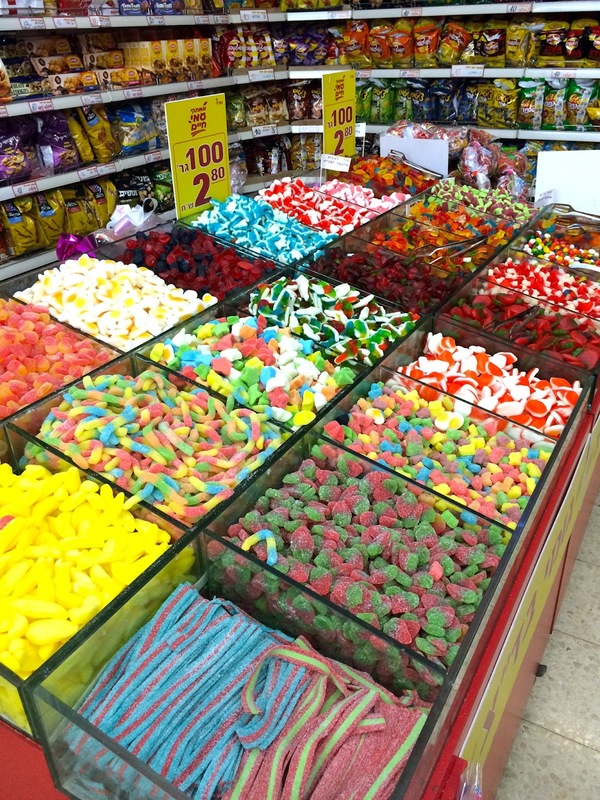 Until now only my close friends, family and boyfriend knew of my interest and curiosity in candy and candy shops. In any city or country we visit, I often find myself wandering into candy stores and dragging my travel companion along with me to see "what's new, what's different, what they sell, how the store looks" so I have decided to blog about my findings and share the candy-wealth! 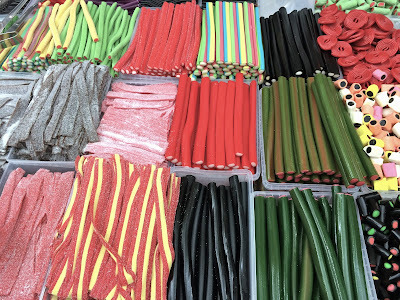 This website will be a compilation of my never-ending quest to seek out unique, delicious and interesting candy from around the world. Come join me!